My poor cloth diapers! I (used to be, now I just don’t have the time or inclination) am a bit of a baby-er when it comes to them. I use loop fabric on the tabs to keep them from forming chains in the wash. I hang to dry. I’ve even been known to use a lingerie bag when washing my ‘special’ cloth diapers. How could they survive this? How could I survive this? The SMELL…oh the smell..it wasn’t just ammonia…it was pure grossness that was enough to almost knock me over! How could I have let it get this bad, I mean, I write a cloth diaper blog for goodness sake!? It’s a combination of factors really…I could make a bunch of excuses…but instead I’ll just be honest. I didn’t feel like washing them. Look…we got a foot of heavy wet snow the day before Thanksgiving and of course the power went out. It didn’t come back on until the afternoon of Thanksgiving Day. Thanksgiving was already cancelled and rescheduled for Saturday. Then came Black Friday shopping. I’m no crazy shopper, but it gives me a good excuse to spend time with a few of my favorite people. Then came the rescheduled Thanksgiving and then a day of rest. Then guess what? I was planning on doing the diapers Monday night…the electric went out again. So there we are on Tuesday with that horror show silently contained (thank goodness!) in my Monkey Foot Designs wet bags. I had to put them through another hot wash. This time I used my normal amount of detergent; Tide to the 2 line and OxiClean to the 2 line. I figured the diapers where like normal dirty now. I did a whiff test again after the wash and first rinse…All was good! No need to do anything else, just let it finish with the final rinse and dry. Thank God…they really were clean. Sophia didn’t get any redness when I put them on her. Somehow while I was doing diaper laundry last night, I realized that it had been almost another 6 days since I had washed. Jeez! I’ve really let myself go! I guess I’m in a little rut. And with the holidays and family and the blog and running around… I just didn’t have time. It turned out fine. I’m not saying, ‘Hey only wash your cloth diapers once a week.’ It’s not good. Mold can grow, ammonia can set in. My whole house stunk to high heaven through the entire wash cycle. They were just plain HARD to get clean after that amount of time. The point of me telling you this is that I want you to know that I’m a normal mom that really doesn’t have my stuff together all the time. I’m just do the best I can. More importantly than that, I want you to know that cloth diapers are not made of unicorn hair. You can mess up…make a mistake…forget a cloth diaper in the car and usually get them straight again. Cloth diaper laundry isn’t some secret process guarded up on a mountain top. No secret password is necessary. It’s mostly just using common sense AND I’m here to help you if you need it! Think about how you handle super dirty clothes. What would you do with them? How much detergent would you use? Would you add anything to the detergent? You should be using the same amount of detergent that you would be using for a same size load of soiled clothing. Wash about every three days: warm rinse, hot wash with detergent, rinse, hot rinse…dry…done. Have you ever had a cloth diaper laundry disaster like this? How did you get your diapers back to normal? I think all Mom’s have gone through these kinds of these before whether they use cloth diapers or not. Ladies, don’t feel bad. I have left the same load of clothes in the washer for three days washing it everyday and forgetting to hang it up so it soured every night. You are absolutely right! Thanks for commenting Sherry! Oh my! Unfortunately, I have done this many times. I will do a cold prewash to get the big stink off, then a normal wash-cold with normal or a little extra detergent. Next, I do a hot wash with regular detergent and a big pour of white vinegar. Then I do 2 extra rinses and done. 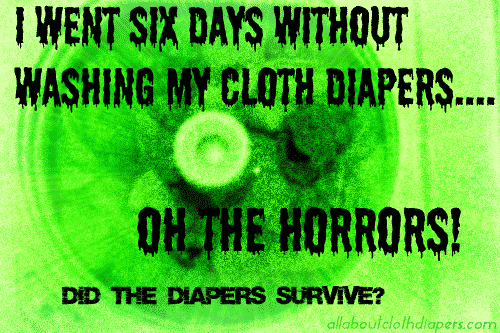 I’ve never had I diaper I couldn’t recover after a missed one in the car or a distracted week. Microfiber is the hardest to resuscitate for sure! How funny! I have an older Speed Queen as well! I have definitely learned that cd washing is not some magical process. In fact, I only do a cold rinse, then wash normally. I even *gasp* put mine in the dryer. No big deal. It’s a piece of cloth my daughter pees and poops in. I figure they must be pretty tough! I’m glad to hear you have a Speed Queen top loader too! I’ve not met anyone else who has one. 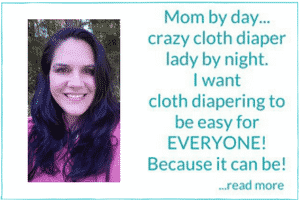 I absolutely LOVE mine, especially for cloth diapering! I’ve had mine for 3 years. It was the best Christmas present ever. Nothing like a good old fashioned top loader Margaret! Too funny. I think we’ve all had that happen. The worst is when you have someone helping you with your diapers and after 6 days you find out that they did NOT rinse the poop off of one! Now that’s horrific. Hang in there mama and thanks for the post! That too is unfortunately something I have experienced! lol. I always say it could be worse. Because it can be! Treasure the little things and the good with the bad, right? Hi Jenn, Looong time huh! Well I still read your blog. boy was I happy to hear that I am not the only one that has done that. I feel guilty that I wash every four days. Is that terrible too? 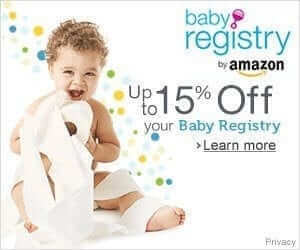 Well I always rinse my diapers anyway. I am just way to compulsive to not rinse them out especially poop. I just got a a sprayer and I am so excited I did. it makes diaper care much easier. Great comforting list btw!